We’ve all seen how our plants and seedlings wilt when we move them from a small pot to a larger one, from indoors to outside, or from greenhouse to ground. Try feeding transplants with Epsom salt once they’re in their new environment to help injured roots overcome transplant shock. Remember to add a layer of soil on top of salt sprinkled in holes so roots don’t come into direct contact with these concentrated minerals right away. Plants that aren’t getting enough magnesium can be identified by their yellowing leaves. This is because magnesium is an essential component in the production of chlorophyll. Try sprinkling Epsom salt around your plants to achieve healthier foliage. 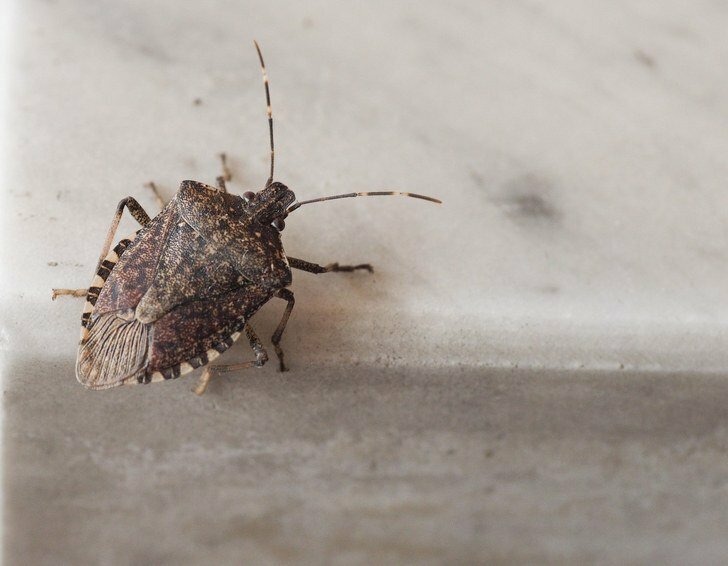 About 1 tablespoon per 12 inches of height once a month will benefit the plants in your vegetable garden, as well as any trees, shrubs, flowers and grasses you want to green up. Leaf curling may also be caused by magnesium-deficiency in plants. 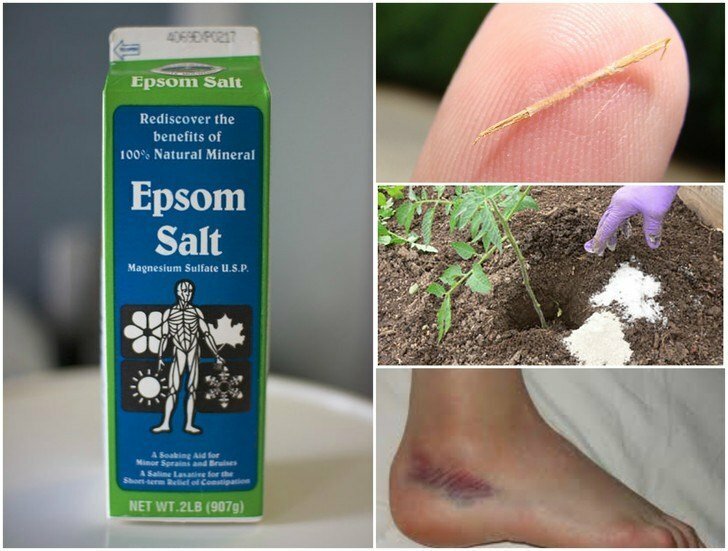 Again, add Epsom salt to the soil around the base of the sick plant. Alternately, for faster absorption you can mix 2 tablespoons of Epsom salt in a gallon of water and apply directly to the leaves. The production of fruiting bodies is the most taxing process in the life cycle of a plant. Apply Epsom salt to fruit and nut trees, bushes, and vines using the same methods and quantities stated above to boost chlorophyll levels inside the plant cells. Increased energy means more sugar, allowing the plant to produce higher yields of sweeter, healthier fruit. Tomato vines are one of a handful of common garden residents whose fruit to plant size ratio is heavier than average, leading to an even higher likelihood of magnesium-deficiency. For this reason, tomatoes should be fed Epsom salt twice as often as other plants. Also, because tomato vines are prone to calcium-deficiency (blossom end rot), the majority of tomato fertilizers contain calcium which will compete with magnesium for root absorption. Therefore, foliar feeding is the more efficient method for delivering magnesium to these plants. Water tomato vines with dissolved Epsom salt – 2 tablespoons per gallon of water, every 2 weeks. Peppers are another popular garden plant with a higher-than average fruit to plant size ratio. As such, they should also be fed magnesium every two weeks to achieve higher yields of larger fruits. For hot peppers, over-watering can lead to fruit with less heat, thus the soil amendment method may be preferable in this case. 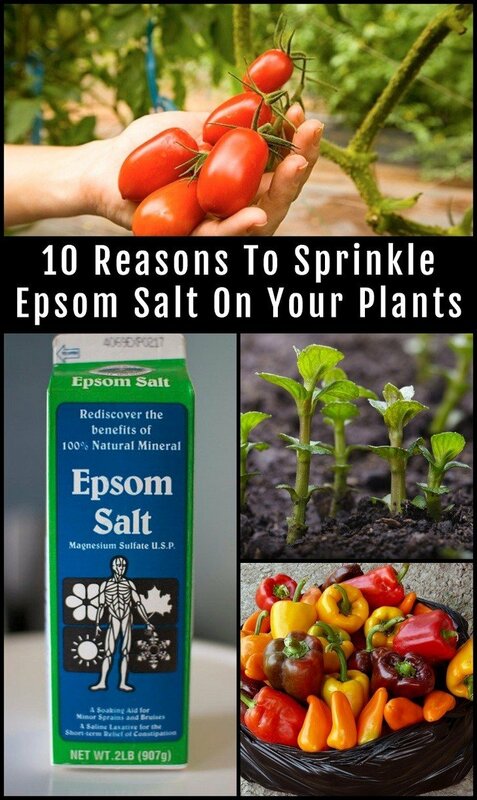 Sprinkle 1 tablespoon of Epsom salt for every foot of height around the drip line of your pepper plants once per week. Ever wonder why your neighbors’ rose bushes are fuller than yours and sport so many more blossoms? It is highly likely that the answer is Epsom salt. Not only does it help roses to produce larger blossoms in greater numbers, many successful rosarians will agree that magnesium also aids in the growth of new canes from the base of the plant. And of course, Epsom salt increases chlorophyll production meaning darker leaves. For maximum benefit, roses should at the least be fed with Epsom salt at time of planting, then again at the first sign of new growth, and once more when the flowers are in full bloom. Bare root roses may also be soaked in water containing dissolved Epsom salt before planting. Want to try Epsom salt for yourself? You can buy a 3lb container of White Mountain Epsom Salt from this page on Amazon.